Barbara Bass Lancaster, 73, of Wilson, went to be with her Lord and Savior on Wednesday, June 21, 2017. Funeral services will be conducted 2:00 p.m. Saturday at Daniels Chapel FWB Church. The family will receive friends immediately following the service at the church, with interment in Black Creek Cemetery to follow the visitation. Barbara was born in Black Creek, the daughter of the late Ernest C. and Louise Pennington Bass. 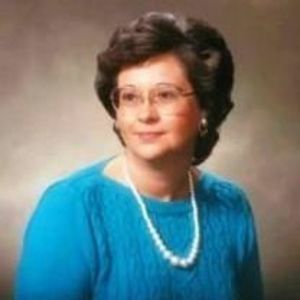 She was a member of Daniels Chapel FWB Church. Barbara was a loving wife, mother, “Nana”, sister, and aunt. She loved music and loved to dance. Barbara’s laughter and fun-loving spirit will be missed by all who knew her. Surviving are her husband, Michael Ray Lancaster of Wilson; her daughter, Suzanne L. Cunningham of Pikeville; her granddaughter, Addison Rayann Cunningham of Pikeville; her sister, Doris B. Collier of Wilson; many nieces and nephews; and her special dog, Daisy. In addition to her parents, Barbara was preceded in death by her brother, Hubert S. “Sam” Bass and wife, Martha; and her brother-in-law, Jarvis Collier. Flowers are welcome and memorials in Barbara’s memory may be directed to Duke Children’s Hospital, 2301 Erwin Rd., Durham, NC 27705 in honor of Addison R. Cunningham.